I’m pleased to have been asked to write a chapter in a forthcoming book to be published by the North Carolina State Bar Association regarding estate litigation cases. My specific topic is the availability of attorneys’ fees in estate litigation cases. 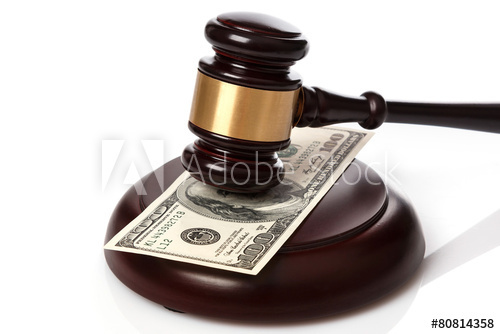 Estate litigation cases are abnormal from a typical lawsuit when it comes to attorneys’ fees. In the United States, we typically operate on the “American System” of attorneys’ fees, meaning that each party pays its own way. This is opposite from most of the world, which operates under the “English System,” basically meaning that the loser pays the winner’s attorneys’ fees. However, estate litigation cases are often the exception to the American System rule. In will contests, trust disputes and guardianships, the court has specific authority to order the loser to pay the winner’s attorneys’ fees. In addition, the Court has the authority to order the winner’s attorneys to be paid out of either the trust or estate. Lastly, and most interestingly, the court even has the authority to order the loser’s attorneys’ fees to be paid out of the trust or estate if the court determines that the challenge was not frivolous. Of course, all determinations on who pays attorneys’ fees are in the discretion of the clerk, so there is no guarantee in either direction. However, the fact that this determination is in the hands of the court at all is one of the many unique aspects of estate litigation.